You have probably seen this yin yang symbol before. Yin (mostly black) and yang (mostly white) are two opposites. When combined, their strengths and weaknesses balance each other. Yin is sometimes shown as two dashes (–) and it represents the earth and the restful side of life. Yang is sometimes shown as a longer continuous line and it represents heaven and the active side of life. Your physical features and personality can be analyzed to discover if you are yin or yang. You can use the following table to help you. The overall physionomy of your face tends to be well-spaced. For example, a gap in your front teeth, eyes well apart, etc. Your facial features are concentrated closer to the vertical middle line. For example, a small and narrow nose, eyes closer together, etc. It should be noted that yin people can have a yang occupation or the other way around. Because your goal is to create balance in your life, the yin & yang aspect of your occupation will also be a factor. You can review the following table to determine the yin or yang nature of your work. A lot of thinking and alone time required. For example, researcher, writer, etc. A lof of interaction with people that requires a lot of energy. For example, sports, military, business, etc. In an ideal world, you need your occupation to be compatible with your surroundings. Can you imagine a drill sergeant trying to train his rookies in a library? Or a writer trying to write a best-selling novel at the circus? In order to create balance and harmony between you and your surroundings, both yin yang elements must coexist. 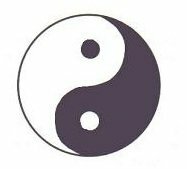 If you are a yin person (personality and physical features) working in a yang environment (occupation and surroundings) then you are in a balanced environment. Same goes for a yang person in a yin environment. This is the ideal scenario but it is not always feasible. For example, you could a writer (yin) trying to work in a busy household filled with screaming children (yang). A yin occupation requires yin surroundings. In this case, a special yin area, such as a meditation room, needs to be created to bring back balance. Learn more about yin yang and other aspects of Feng Shui.